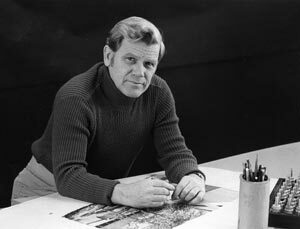 Born in Lansing, Michigan, Johnson served in World War II and graduated from Michigan State University in 1951 with degrees in landscape architecture and urban planning. In 1961, he founded Johnson, Johnson, and Roy (JJR) with his brother William and Clarence Roy. The firm went on to complete planning and design projects throughout the U.S., with a focus on human needs and careful analysis of the land. 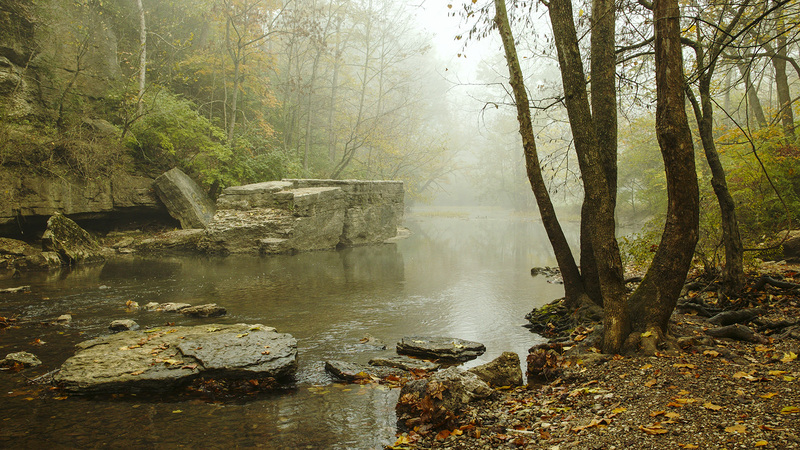 Johnson’s professional work includes the restoration of Cherokee Park in Louisville, Kentucky, originally designed by Frederick Law Olmsted, Sr. in 1897 and ravaged by a tornado in 1974. He also adapted a Jens Jensen residential landscape in Evanston, Illinois, for public use at Lighthouse Landing Park, and designed a rehabilitation plan for Applewood, the Charles Stewart Mott Estate, in Flint, Michigan. In addition to practice, Johnson taught at the University of Michigan for 29 years, retiring as Professor Emeritus in 1989. Active in the American Society of Landscape Architects (ASLA), he served on the Landscape Architecture Foundation (LAF) Board of Directors and established the JJR Research Grant. Named a Fellow in 1979, Johnson was awarded the Society’s highest honor, the ASLA Medal, in 2000. Editor's Note: This Pioneers biographical profile is being posted in honor of Carl Johnson's passing. Born in Lansing, Michigan, Carl Johnson was the second of three children born to Ruben and Ethel Johnson. He served as a Navy Corpsman during World War II and graduated from Michigan State University in 1951 with degrees in landscape architecture and urban planning. 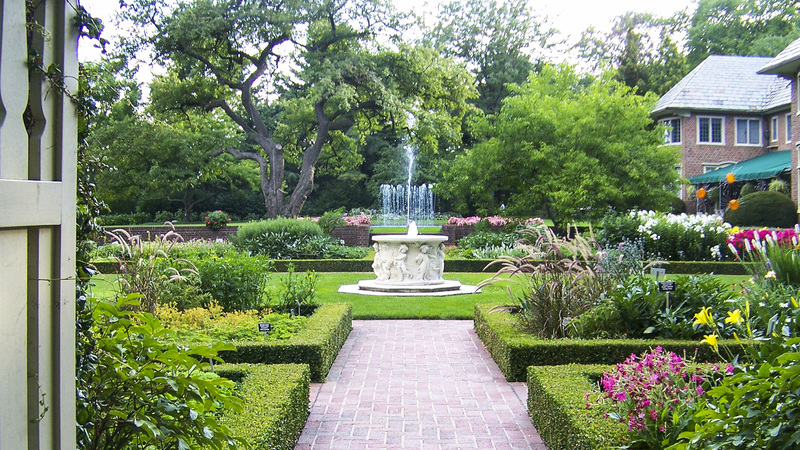 From 1951 to 1953, Johnson worked for Lambert Landscape Company in Dallas, Texas. It was there that he met fellow landscape architect Clarence Roy. His brother William Johnson joined them briefly at Lambert’s, which served as the genesis of their future partnership. 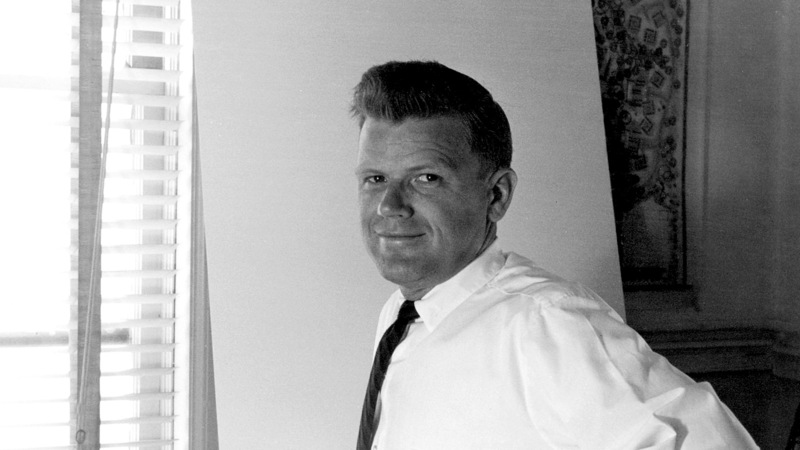 In 1955, Johnson relocated to Detroit and joined Edward A. Eichstedt, becoming a partner from 1958 to 1961. In 1961, Johnson formed a new partnership in Ann Arbor, Michigan, with his brother William and Clarence Roy, founding Johnson, Johnson, and Roy (JJR). The firm’s first major commission - a comprehensive land-use plan for the University of Michigan’s central campus - placed development decisions in an environmental context, an approach to campus planning that would be emulated in many future projects and would become the hallmark of JJR’s work. Johnson's 30-year professional legacy at JJR includes lasting work in the landscape preservation field, emphasizing the reuse of historic landscapes. He believed that “to focus on the land we must know the land to the point where we have a passion to search out the essence.” As a result, he often camped on project sites for several days. 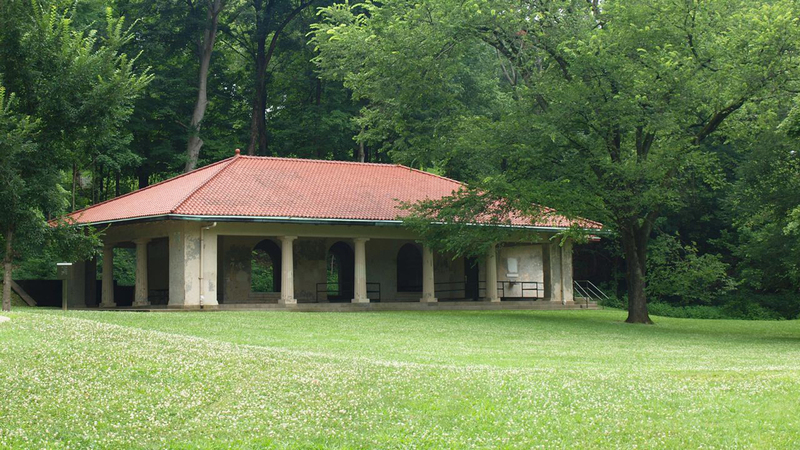 He was the lead designer for the rehabilitation of Cherokee Park in Louisville, Kentucky, designed by Frederick Law Olmsted, Sr. in 1897 and ravaged by a tornado in 1974. The size of the park, at 409 acres, and weaknesses in existing survey materials necessitated Johnson’s team to field-site and field-locate all tree and shrub masses. Many of Johnson’s best-known projects included the rehabilitation of great estates and adapting them for new uses. 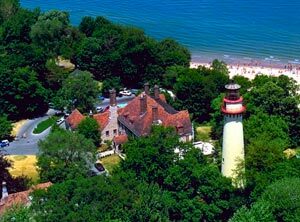 In 1977, working with architects Metz, Train, Olsen and Youngren, Johnson forged a plan to combine and restore three distinct properties, including the Harley Clarkes estate designed by Jens Jensen, and adapt them to public use at Lighthouse Landing Park in Evanston, Illinois. Similarly, between 1977 and 1991, he directed the rehabilitation plan for the C.S. Mott Estate, Applewood, in Flint, Michigan, in preparation for opening the estate to the public. 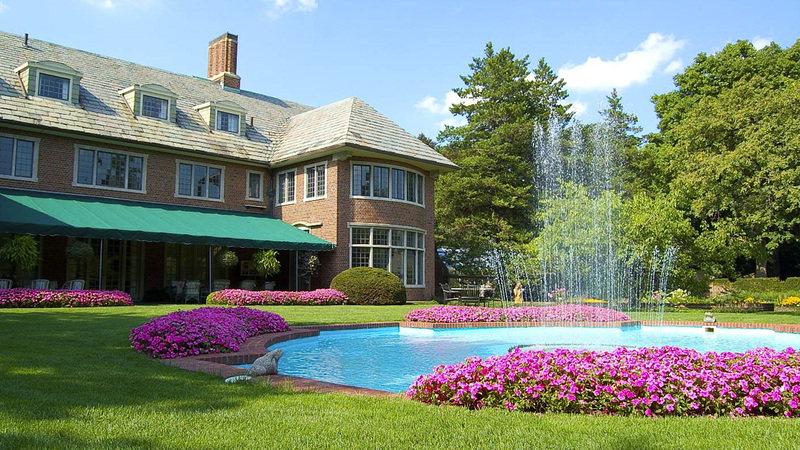 JJR’s work included the rehabilitation of several English-style garden rooms and the sympathetic replacement of plant material, which overlaid the original design by William Pitkin, Jr. 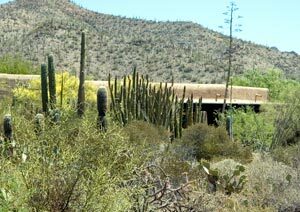 In the early 1980s he developed a keen interest for desert landscape of the southwest, where he prepared plans for the development of Arizona’s Sonora Desert Museum in Tucson and Desert Botanical Gardens in Phoenix. Throughout his career, Johnson was committed not only to his professional practice but to developing the next generation of planning and design leaders. He once stated, “We must be willing to mentor, to share generously, giving back whatever we have gained in order to contribute to an enjoyable, sustainable place for those who follow.” He began teaching at the University of Michigan as a visiting lecturer in 1960 and became a full professor of landscape architecture in 1964. Johnson taught the introductory site planning course required of all architecture students for 29 years, instructing more than 1000 students over his tenure. He also presented guest lectures at more than 20 architecture and landscape architecture programs throughout the continent and overseas. In 1989, he retired from teaching and was named Professor Emeritus of Landscape Architecture at the University of Michigan. A highly spiritual person, he saw art as necessary food for the soul, and emphasized the critical role of beauty in all human endeavors. Johnson was an avid artist throughout his life and had a special passion for drawing and watercolor. He also utilized his design and illustration abilities to communicate the contributions of landscape architects in shaping and preserving both the natural and built environments. His approach to design frequently made use of conversational graphics as sketches, intended to stimulate broad-based discussion and analysis of design approaches and solutions. He stressed that the client and community need to be an integral part of the creative process, viewing it as “a shared process of discovery,” and saw art as a key way to facilitate collaboration. A master of what he called “scumbles,” or conversational graphics, Johnson was once baffled when asked to speak before a large real estate convention without slides. In response to the challenge, he created a 10’ x 20’ blank paper “wall” and, wielding large pieces of chalk, he talked and sketched his way through the entire presentation. Johnson consistently supported the American Society of Landscape Architects (ASLA) at the local chapter and national level, and served on the Landscape Architecture Foundation (LAF) Board of Directors in the 1980s. He was largely responsible for the establishment of the JJR Research Grant, which advances the Foundation's body of knowledge on issues of sustainability. He was also a charter member of the Alliance for Historic Landscape Preservation. 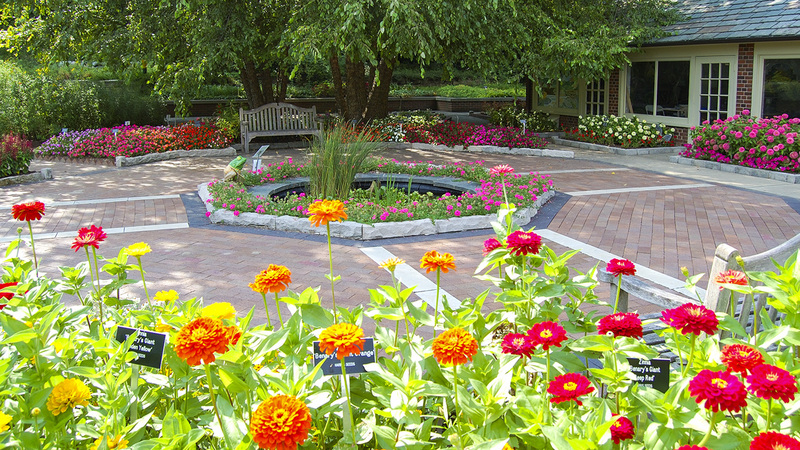 Named a Fellow in 1979, he was awarded the Society’s highest honor, the ASLA Medal, in 2000. After retiring from active practice in 1989 and moving to Arizona, Johnson regularly lectured on the subject of English gardens and continued to consult with several private Christian camp organizations and private universities. He also continue his world travels, undertaking study tours focusing on community development, urbanization, and environmental protection on an international scale. Johnson died in Ann Arbor on October 24, 2010, at the age of 84. JJR: Creativity through Collaboration, The Master Landscape Architect Series, Images Publishing Group Pty Ltd, 2003. AnnArbor.com, Obituary, October 28, 2010.